Posted on March 30, 2017 by thelostlighthouse	in Comics, Literature and tagged art, Colossus, comic book art, comic book reviews, comic books, comics, Inhumans, Kitty Pryde, Literature, Marvel, superhero, superhero comics, superheroes, TLL, X-Men, X-Men Prime. Needless to say, a lot of people were brought in on this one. The story picks up with Kitty Pryde reconnecting with Storm and being asked to come back to lead the X-Men. She’s been off world recently and has seen most of what’s gone on as a bystander. This makes her well-placed as an X-Men veteran to come in as a neutral party and give the team something to unite behind. Which they’ll need. The team is fractured; people are uncertain of what to do next and everyone is on the verge of going on their own way. Kitty herself has her own share of awkward reunions with Colossus and other familiar faces. Meanwhile a sinister organisation is abducting many of the more anti-social mutants, focusing on Lady Deathstrike for some sinister purpose we only know involves killing mutants and allusions to a new Weapon X program. 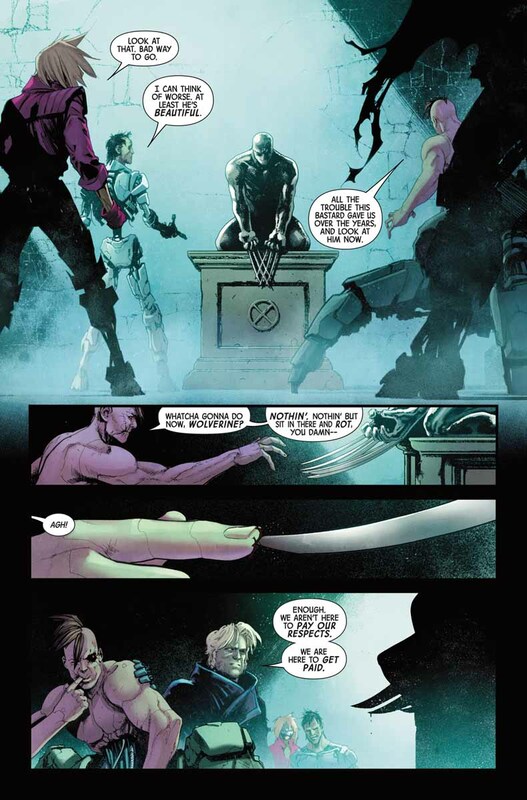 The writing was at its best within the X-Men mansion, seeing the interplay’s between the team, a potential love triangle in the works within the young X-Men and Kitty finding her place again. The new villain hasn’t had much in the way of an introduction yet and their actions are yet to hold any meaning. 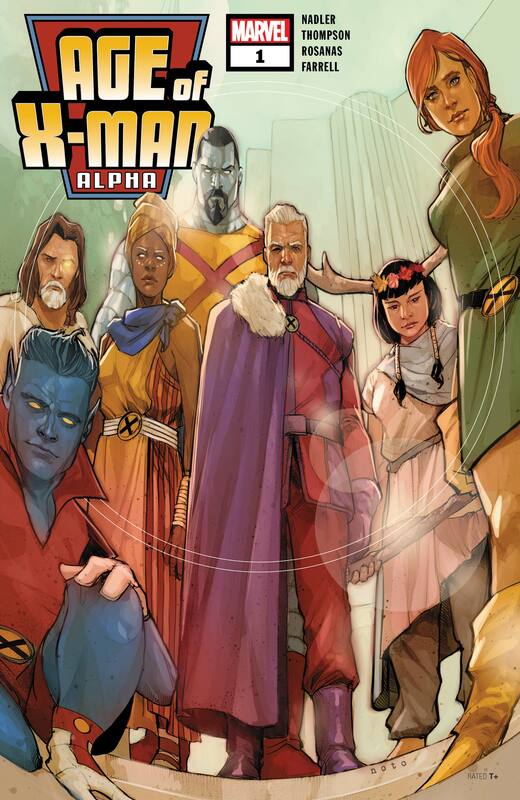 Kitty fills a very nice role for new readers, given them a chance to be introduced to the main cast of the X-Men and cover the basics – Emma Frost being evil and so on. The art has many hidden layers, rereading the comic for this review I found myself noticing new details I hadn’t the first time, particularly during the combat scene in the Danger Room. Character’s are very expressive throughout which supports a character interaction-heavy first issue, although Kitty does seem to have a rather large forehead at times! One very interesting panel is when Kitty calls the X-Men together to give them her first speech as the new leader. Her face wasn’t drawn at all. It’s a small area the artistic team had to work with, but they’re a very talented bunch and could have added it if they wanted to. 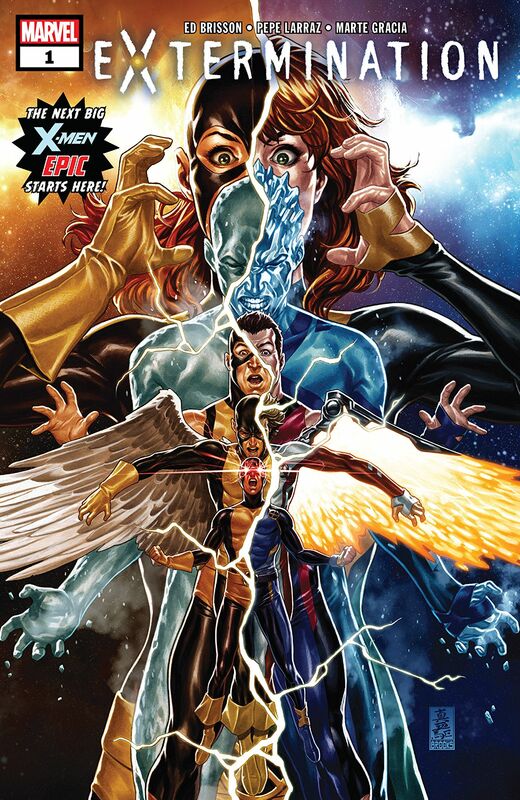 It seems to act as a sort of mask for the readers, letting Kitty be a blank slate for a new beginning for the X-Men. However, with so any people you’d hope they could draw hands. For the most part of course they can. 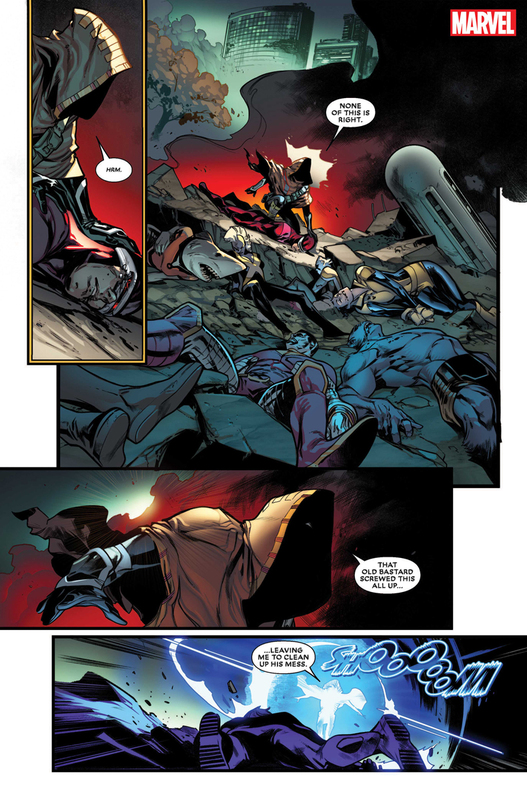 Both in combat and during normal conversation, although there’s an image where young Scott’s hands are on his hips and his fingers appear to bend in a bit of an odd way, and I couldn’t quite work out one panel with Magik’s glove. 8/10 for hand drawing skills! 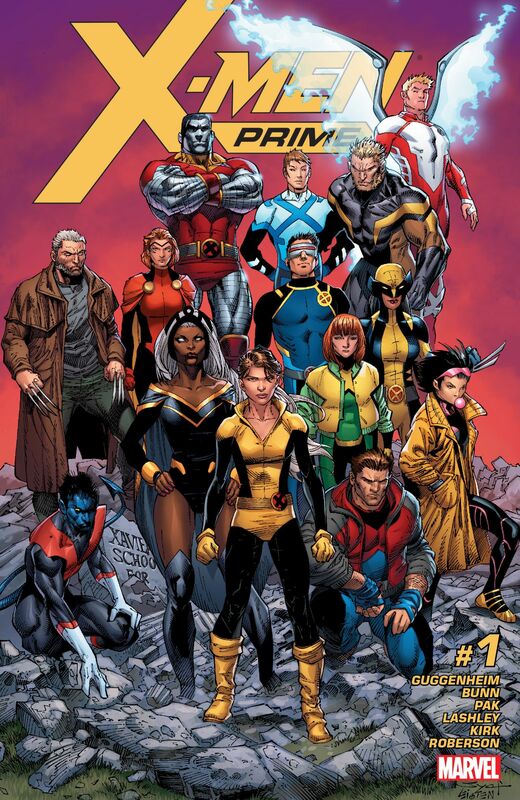 This is a new beginning for the X-Men, they’re back from Limbo and ready to be heroes again (about time!) It’s a great place to join if you’re a new reader too. Posted on March 17, 2017 by thelostlighthouse	in Podcast and tagged American Gods, Ancillary Justice, Ancillary Sword, Ann Leckie, Horizon Zero Dawn, Hugh Jackman, Iron Fist, Legion, Logan, Marvel, Marvel Netflix, Netflix, Patrick Stewart, Sci-Fi, The Lost Lighthouse, The Matrix, TLL, tllpodcast, video games, Weekly Rapture, Wolverine, X-Men. This week Adam was joined by his partner Rose, as Ian is off in South Africa being hunted by Cape Buffalo. We chatted about the new American Gods trailer, Iron Fist’s poor early reviews, Legion’s season 2 renewal and the rumours of a Matrix reboot. Adam also got the episode title wrong a few times. This week we talk about Logan, Hugh Jackman’s final Wolverine film. Listen as Adam fails to make a point for a long time, before we get to your comments. We go into spoilers, so if you haven’t seen it, skip from 24:45-46:24! Rose – The Sellout by Paul Beatty and You Too Can Have a Body Like Mine by Alexandra Kleeman/Legion on Sky/Crash Bandicoot or Spyro the Dragon on PS1, we weren’t sure which, about 18 years ago. Posted on January 12, 2017 by thelostlighthouse	in Comics, Literature and tagged Charles Soule, Clayton Cowles, comic book reviews, comic books, comics, Cyclops, David Curie, Gerry Alanguilan, Inhumans, Inhumans Vs X-Men, Jeff Lemire, Leinil Francis Yu, Literature, Marvel, Marvel comics, Marvel Universe, Medusa, Terrigen Mist, TLL, X-Men. 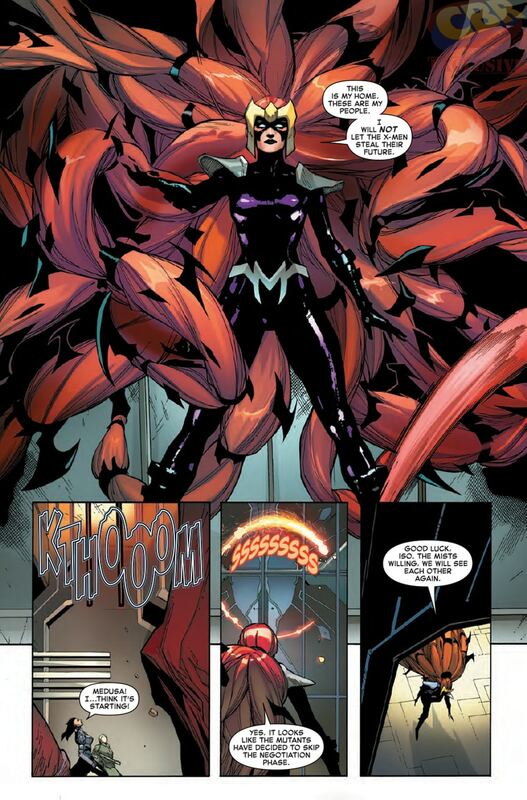 To give a little background as to why these teams are facing off against each other – the Terrigen Mist is floating around the planet transforming those with the right genetic code into Inhumans, but when it touches a mutant they simply perish. Considering there aren’t many mutants left in the Marvel Universe, more and more of the X-Men began to take exception to the mist. Any attempts to find a peaceful solution have now failed, and the death of Cyclops (current, not past) became the catalyst for war. 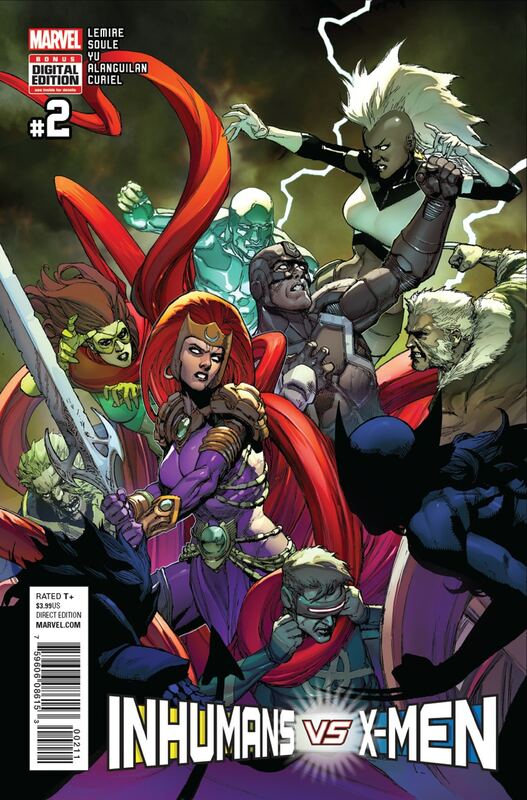 This issue focuses on an all-out battle between the two teams. Issues like this can often feel messy, however thanks to a combination of excellent writing and clear, defined art it was easy to keep up with everything that was going on. Considering the number of characters involved that was no small feat. There is only limited space for character development however, which is natural in an issue such as this. 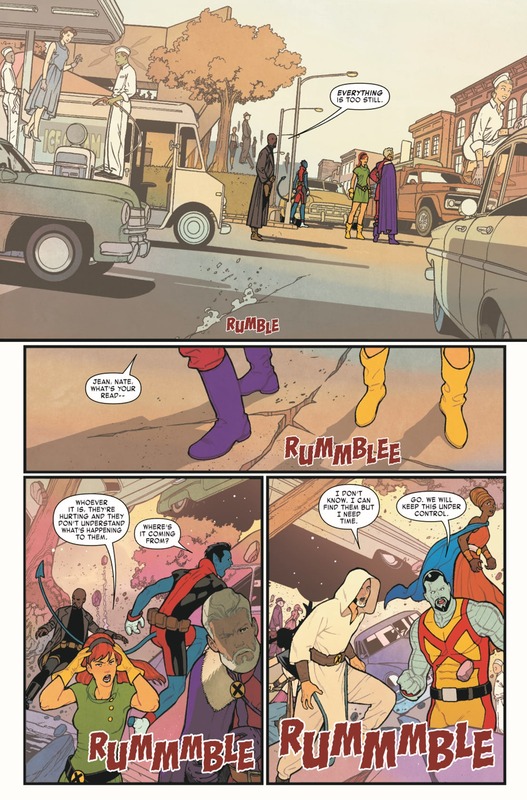 One touch I do like is the ideological differences between the two sides – the Inhumans revere the mist as if it was divine, whereas the X-Men come across as an desperate group of survivors. As for the art, considering how much was going on it would have been easy to miss something in this issue, the clearly defined art style – the penciling and inking by Leinil Yu and Alanguilan supported the narrative keeping it clear throughout. Curiel adopted a dark pallet throughout the issue which provides a very sombre atmosphere to the conflict. 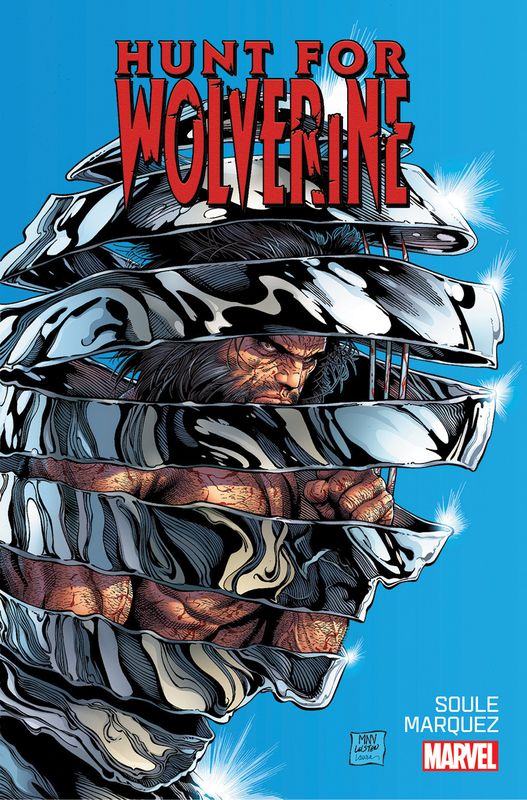 There are also some very cool moments for individual characters, such as Medusa, Sabretooth and Wolverine throughout the issue. But how are Yu and Alanguilan with hands? Can the art team draw hands? In combat heavy issues the majority of hands are grabbing, punching, deflecting etc. which can mean there is little chance for artists to show off what they can do. This is not the case when dealing with such a diverse range of power sets. From claws, to energy filled and even melting Leinil Yu and Alanguilan provided a fantastic base for Curiel to work his magic on. 9/10 for hand drawing skills! This is promising to be Marvel’s super team showdown of the year. Its been a while coming, which adds plenty of weight to the issues so far. Posted on May 27, 2016 by thelostlighthouse	in Podcast and tagged Agent Carter, apocalypse, DC, DC cinematic universe, DC comics, films, Marvel, Preacher, Sci-Fi, Supergirl, The Lost Lighthouse, Thor, Thor: Ragnarok, TLL, tllpodcast, X-Men, X-Men Apocalypse. This week we chat the cast of Thor: Ragnarok and the latest re-jigging happening in the DC cinematic universe, while Gary gets attacked by his cat again and Adam complains about losing TV shows he likes. We had two main talking points this week (you lucky people!). First up, we give our thoughts on the pilot episode of Preacher that aired this week. We talk about it from around 16-24 minutes. It’s pretty light on spoilers, but if you’re particularly trying to avoid them then skip this bit! Our second main talking point was X-Men: Apocalypse, with Adam chatting to the Total Reroll DM Ian about this latest instalment in Fox’s X-Men movie universe. We talk about it from 24-52 minutes and again it isn’t spoiler heavy but there are a few things that may come up so you have been warned!